Day 2 was our anniversary, Craig presented me with the diamond ring I had purchased for myself in Hong Kong earlier that year! I had also bought him a new titanium watch as the watch I bought him for a wedding gift had seen better days! 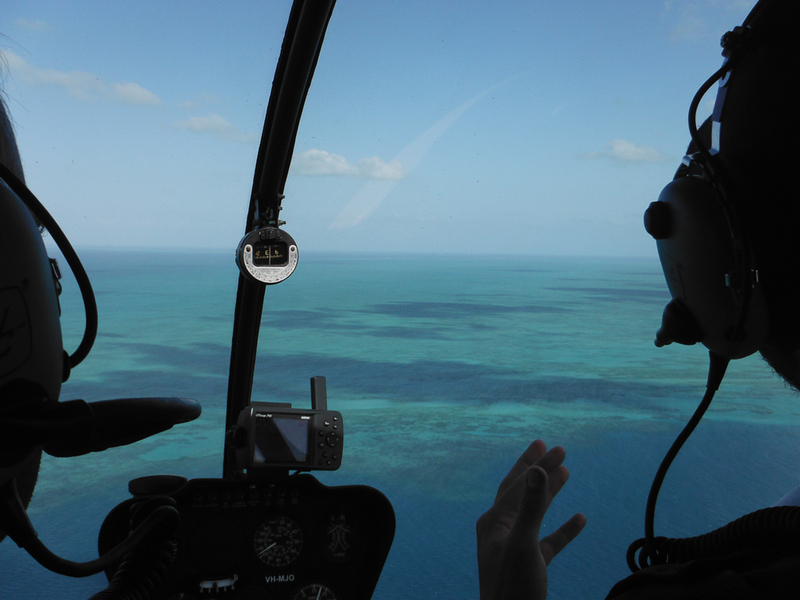 I had organised a surprise trip in a helicopter to go over the Great Barrier Reef. 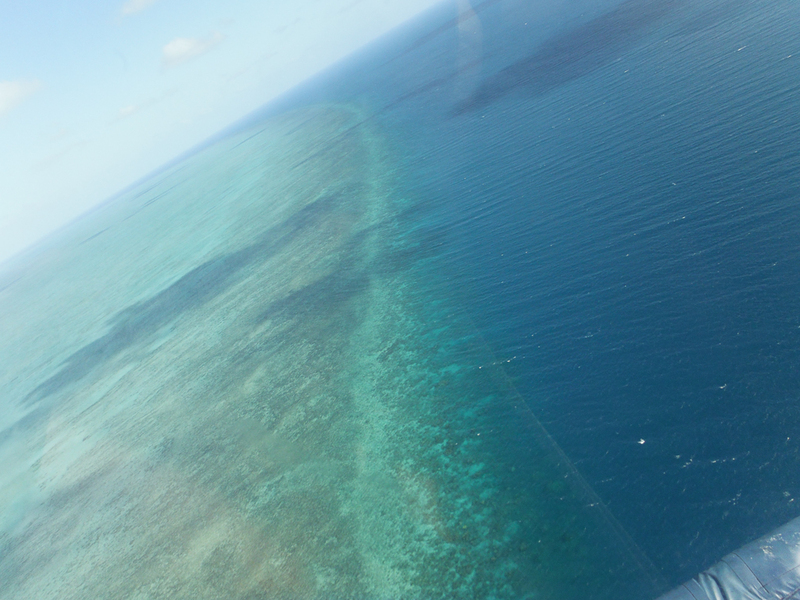 This was our first sight of the Great Barrier Reef & it was breath taking. 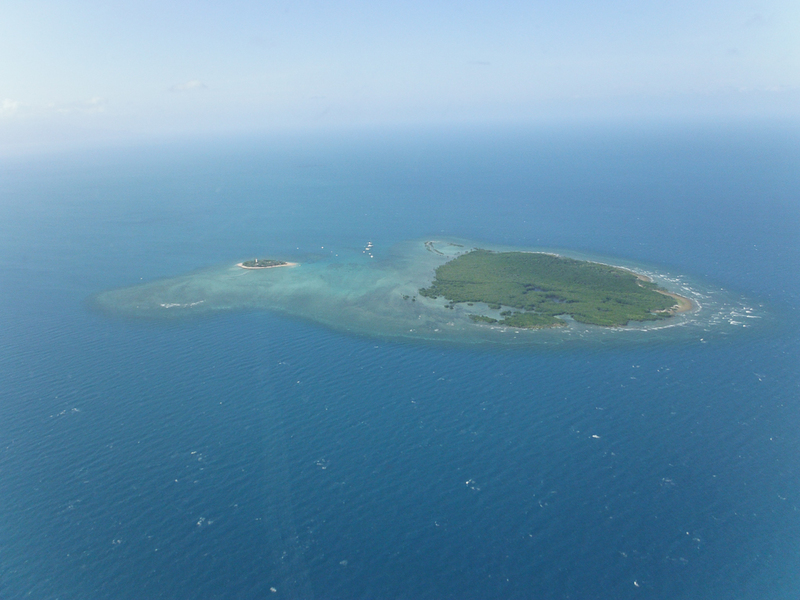 There were a couple of problems in relation to the time that we were to do the helicopter flight. Nothing that was the fault of the organisers or ourselves, just a bit of miscommunication with the 3rd party involved, turned out fine though. 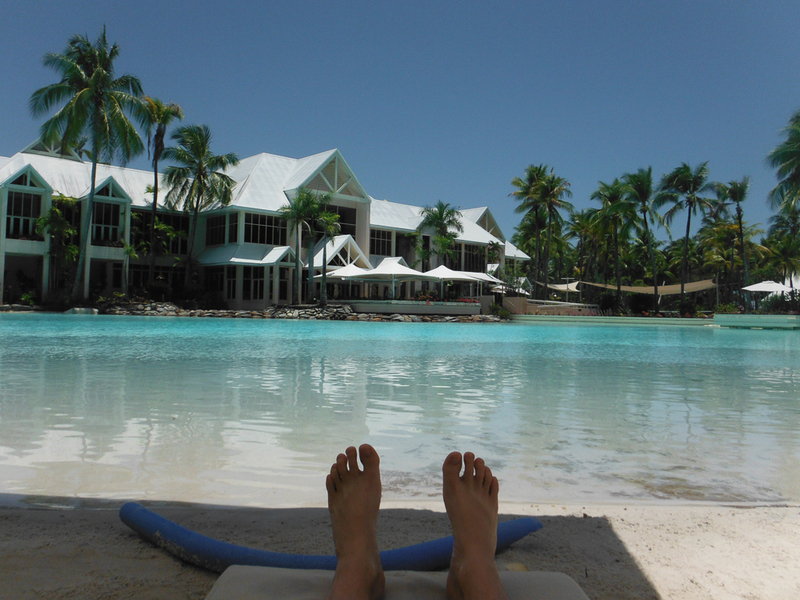 We spent the morning by the lagoon pool & at 3pm the team from GBR Helicopters picked us up from the hotel for our ride over the Low Isles & Batt Reef. I had never been in a helicopter & it was much smaller than I had envisioned & noisy!! Craig took the front seat seeing as it was my surprise to him. 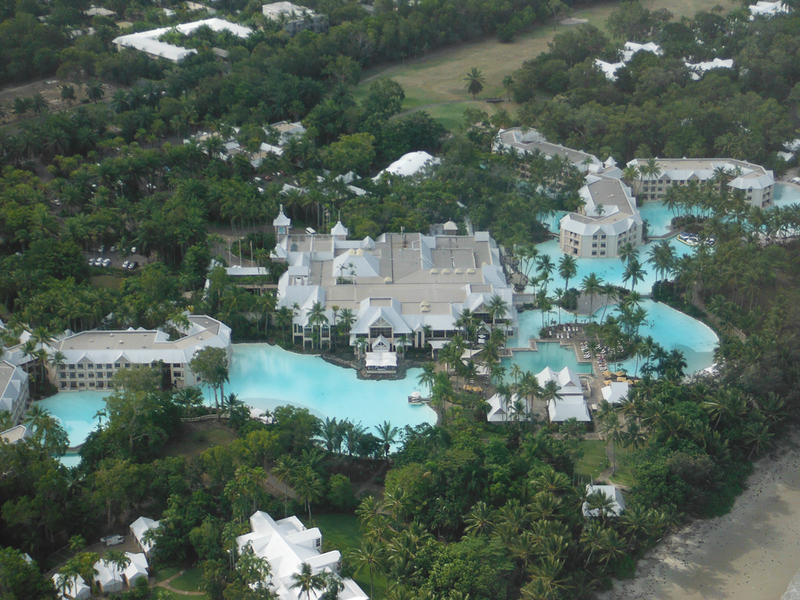 We took off over the Sheraton Mirage so we could get an aerial view of the resort then out to the Great Barrier Reef. It was everything I had expected it to be & more. The views were beautiful, just like you see in all the magazines. I was so jealous of the pilot thinking he has the best job in the world. It was truly breathtaking. I have always wanted to go there & have heard so many people talk about it but nothing compares to seeing it yourself. The pictures below speak for themselves. 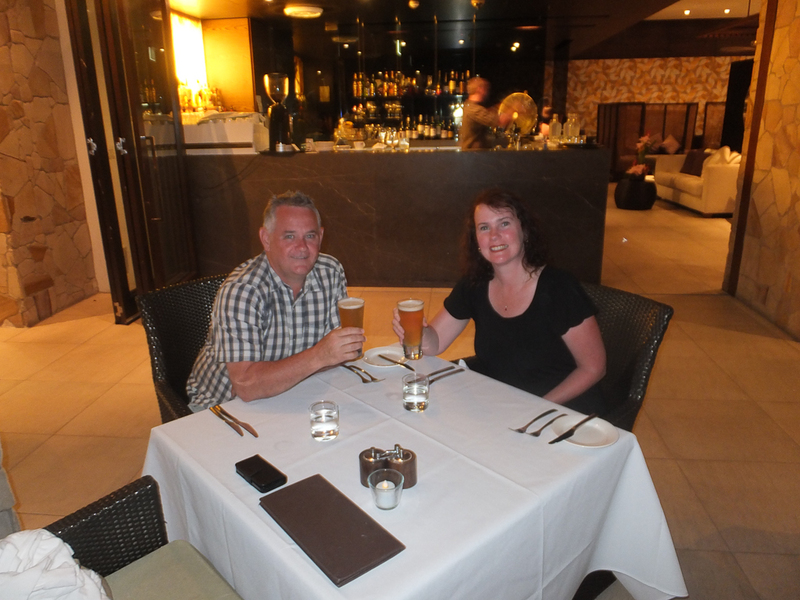 That evening we went to Aqua, the restaurant at the Pullman Sea Temple Resort. It is a little further out of town than the Sheraton Mirage but I would have to say it is much nicer. The Mirage is getting quite old now & could do with a renovation. We were told that it had recently been purchased and the owners are planning on renovating during 2014. The Sea Temple is a very open plan resort, it reminded me a lot of the resorts in Asia. The waiter gave us a glass of bubbles on the house to start off our celebratory evening. The food was amazing, perfectly cooked. There was a solo guitarist playing in the corner, it set the mood in the restaurant. It was expensive but not over the top & the food was worth what we paid for it.